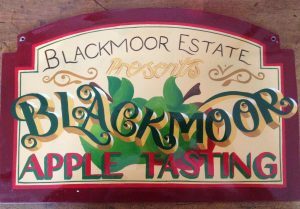 Blackmoor Estate’s famous Apple Tasting Day has been running for 48 years and returns on Sunday 13th October 2019. 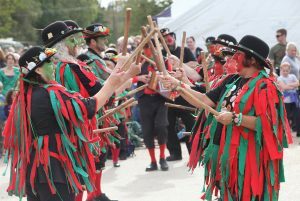 This hugely popular free local event is in aid of local charities and is a rare opportunity for fruit enthusiasts to taste a wide variety of the old an new apple and pear varieties grown at Blackmoor – from traditional favourites like Cox’s Orange Pippin and Norfolk Royal Russet to exciting new varieties like Opal and Rubens. 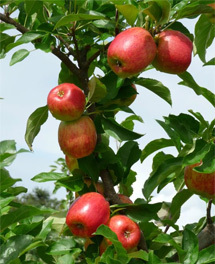 Apple experts will be on hand to identify mystery apples, fruit trees and plants will be available from our nursery, and as usual there will be a range of other attractions including: rural craft fair and demonstratons; community fete; local produce stalls; horse and cart rides; cakes and teas; climbing wall; Morris dancing; and cider of course! Location: Blackmoor, GU33 6BY – follow signs. Dogs are welcome on leads but not inside craft barns and food hall.